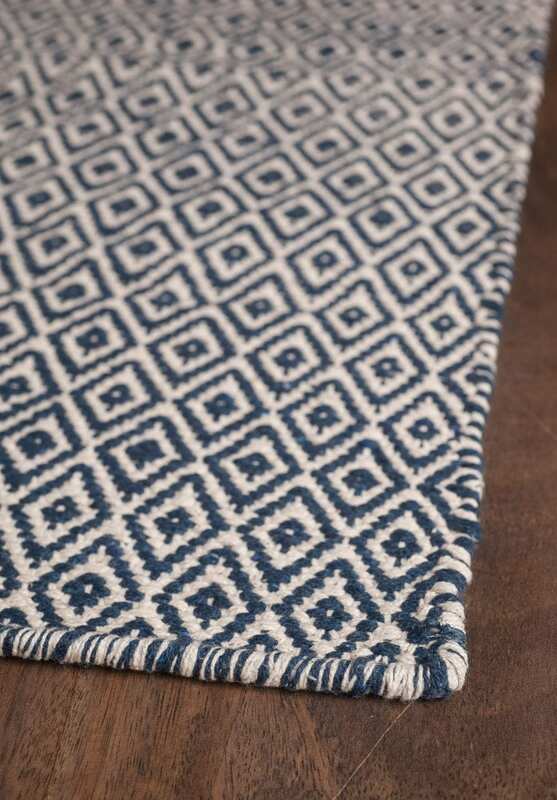 Our durable Eco Cotton rugs are hand woven from freshly spun 100% recycled fiber. 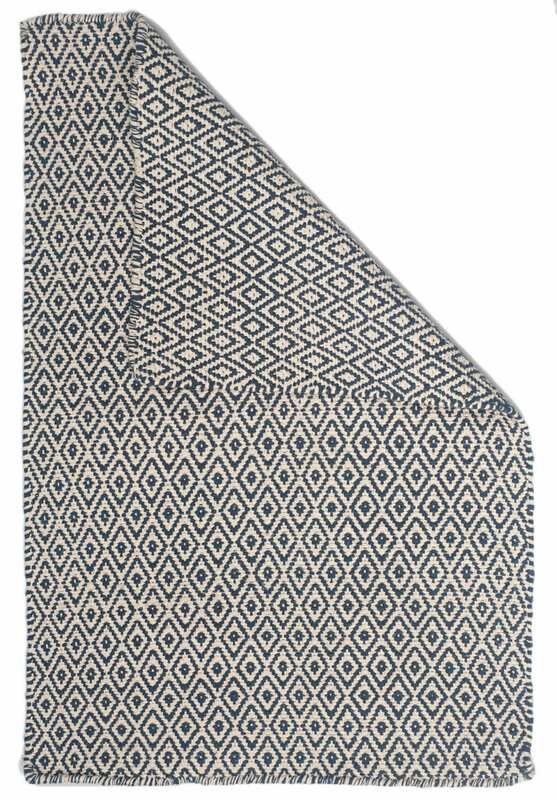 The soft pre-washed cotton adds cushioning to the floor (especially over our natural rubber non-skid rug pads) and the weave is thin enough to fit under most doors, making them easy to use anywhere. When dirty, they can be machine washed and tumble dried, and will come out looking great. Easy care and enduring beauty. Eco-friendliness at its best. To recreate the look and feel of our rugs, we carefully cut our cotton swatches to show both an edge and a full repeat of the pattern. They offer the same vibrant quality as the rug, so you’ll know what you’re getting. Swatches are for one time use and are not returnable. Our Eco Cotton swatches are approximately 3½” x 9½”. Shake or vacuum regularly. Please do not use a beater bar. Use as-is until it needs washing. While our rugs wash beautifully, normal shrinkage will occur during the first wash, and your rug pad may need re-trimming. After one wash, we have seen no further shrinkage. Please remove the label from reversible rugs prior to washing. This will prevent the adhesive from bonding to the rug and making that side of the rug unuseable. Machine wash cold. Use any detergent with no bleach. Tumble dry. Most dryers will stop while the rug is still slightly damp. If this happens, it’s fine to take it out and lay it flat (on a water-resistant floor) until it dries fully. Clip off any thread or yarn ends that loosen in the wash. This will probably be needed only after the first wash, if at all. If a small knot appears (weavers may tie the yarns, if needed, during weaving), use a dull pointed object to poke the knot back into the rug. Shrinkage is normal for natural cotton after washing: expect an average of 4% to 8%. If retaining the original size is very important to you, dry cleaning is a better option. 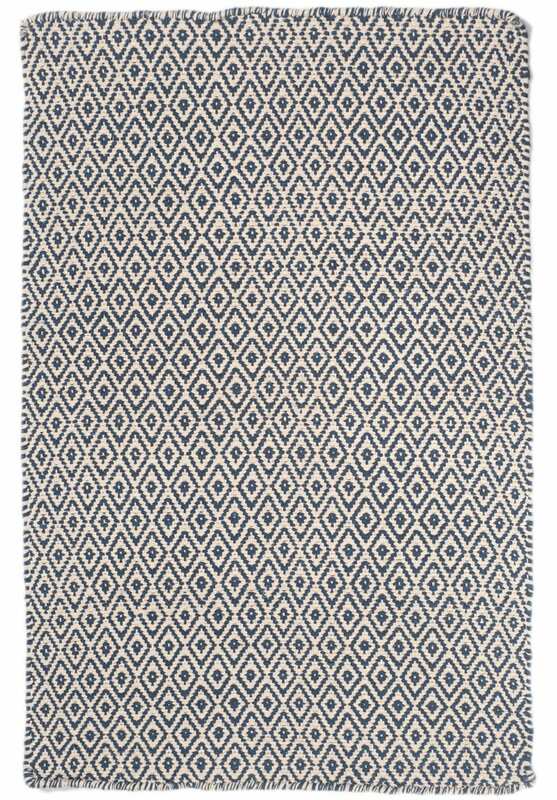 We think you will love your Hook & Loom rug even more after it is clean and fresh. You may even find it a little bit softer!